Thanks to the five volunteers that came out in April to do maintenance work on the Balonek Farms planting site! Maureen reports that things looked pretty good. 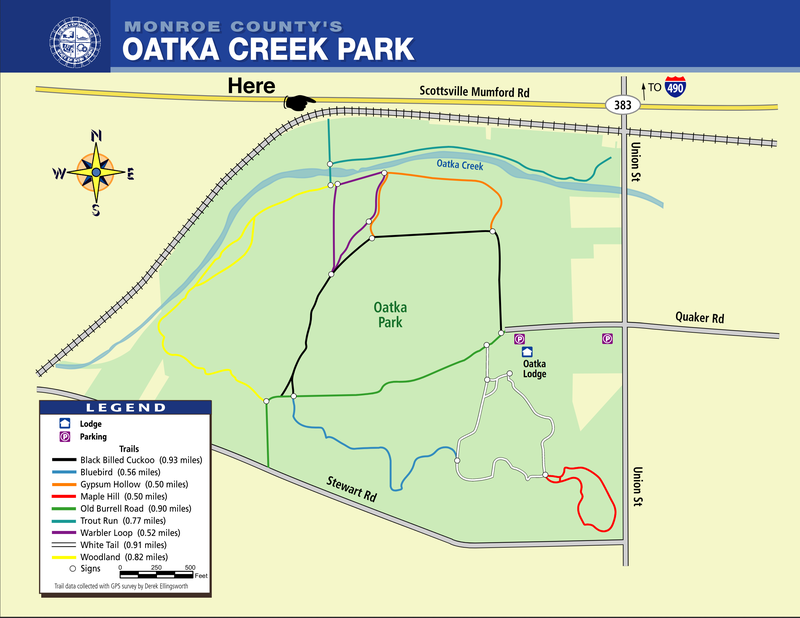 Now it’s time for the second round of maintenance on the Oatka Creek Park Trees for Tribs sites! We will again be inventorying the areas and collecting plastic weed mats, straightening and/or removing tubes, and generally cleaning up and tending to the trees and shrubs to make help ensure those planting survive and thrive! Where: We will be meeting at the western-most trail access (NW end of Trout Run) off Scottsville Mumford Road on the North Side of the park. The trail goes over the railroad tracks and leads straight to the old concrete bridge. The planting is to the east of the bridge on the north side of the creek. Dress for the weather- bug spray, hat, work gloves, water bottle, and hammer will help. Long pants and long sleeves are recommended due to the vegetation. « Get Your Trees Here! HUGE OVERSTOCK!